Now this is a bike for tall guys. 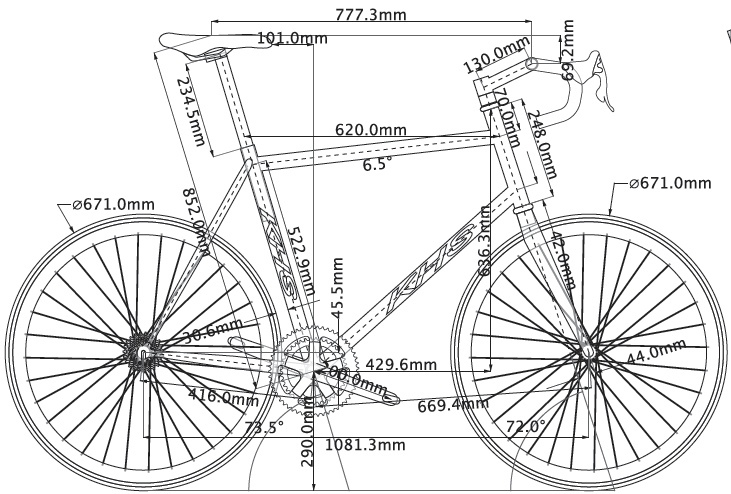 An XXL bike is hard to find, and this one is truly designed for tall guys. KHS Flite 747 - XXL (65cm effectively) or 3XL (67cm effectively). 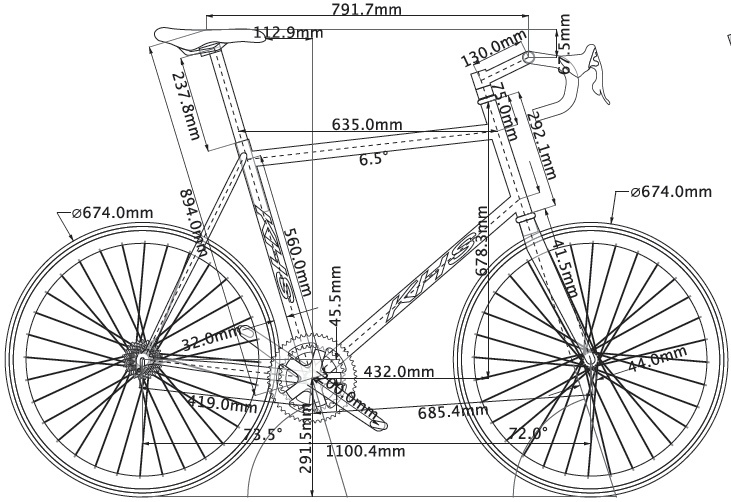 Actual Seat tube lengths are 64cm and 66cm. 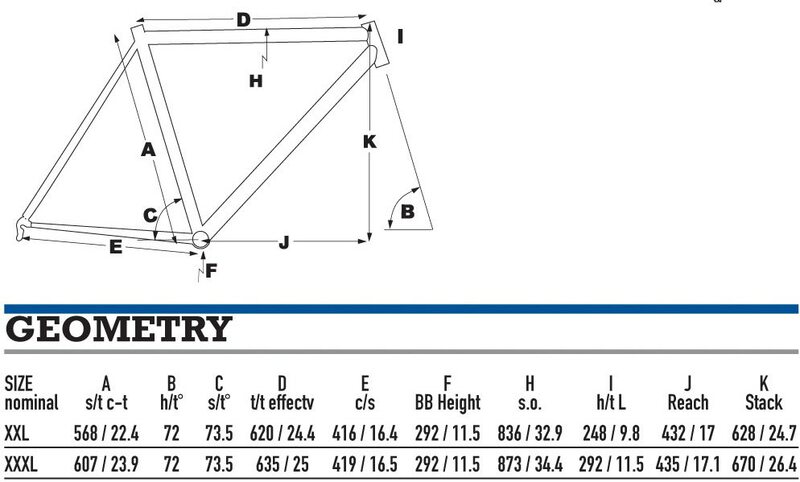 Effective seat tube lengths are due to the higher bottom bracket used for longer cranks. 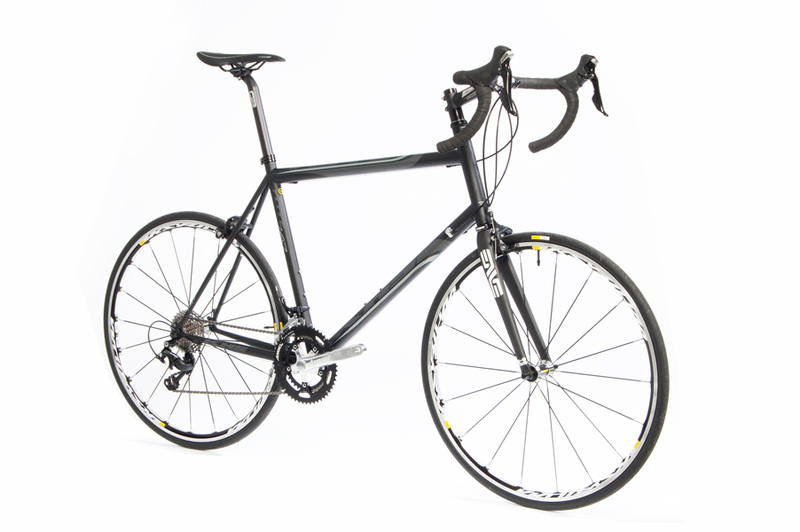 A road bike for big and tall cyclists, designed by Lennard Zinn specifically for taller riders. The Flite 747 comes in 2xl or 3xl only and is spec'd with Shimano 105 11-Speed Shifters and Derailleurs, 200mm cranks and 46cm handlebars. 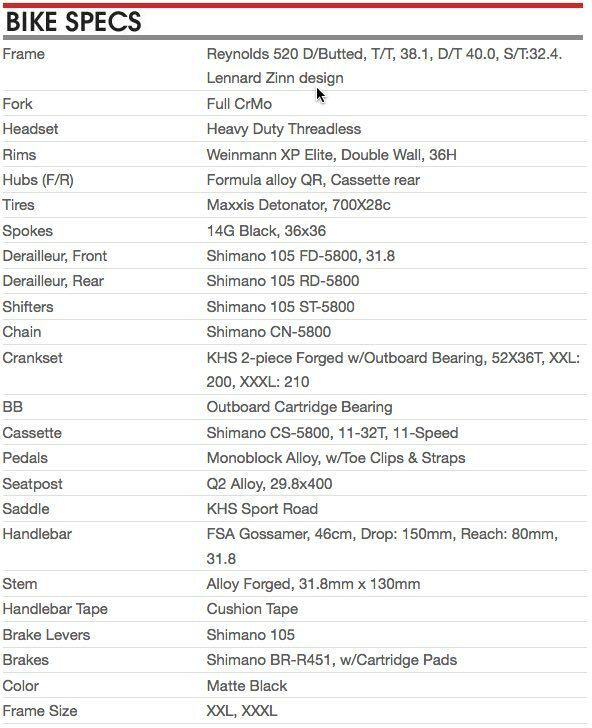 Complete bike weighs 27 lbs. for a 2xl. UPGRADE TO PREMIUM! - You can now upgrade your KHS Flite 747 to the Premium model, which includes a high end carbon fiber fork, upgraded wheelset, Shimano Ultegra Brakes, and Lizard Skins DSP 3.2mm bar tape for superior comfort and ride quality. 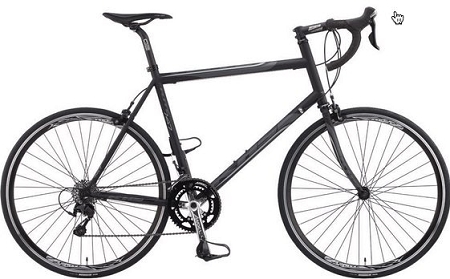 The premium model is lighter weight and with a better ride quality and higher performance. For riders up to 240lbs, we upgrade to a carbon fork and Mavic Ksyrium Elite wheelset, and this reduces the weight of the bike by 4 lbs. For riders over 240lbs, we upgrade to a carbon fork and custom built 36 spoke wheelset with Shimano Ultegra Hubs, Velocity Dyad Rims, and Dt Swiss spokes, which reduces the weight of the bike by 3lbs. Choose your option below. Premium models are only available from Zinn Cycles and Bigandtallbike.com. So glad to have a bike that actually fits! I am 6' 8" and previously had a 64cm trek, which never really fit quite right and I knew right from when I bought it it wasn't big enough. Was quite pleased to come along this bike, because I couldn't afford to go full custom and my level of biking is still pretty novice. After discussing with Lennard Zinn, decided that the XXXL version was the best fit for me. I've only ridden on the bike for a few shorts, but it already feels much more natural. The seat is at a natural level, I don't feel like I have any weird bends or reaches or stretches to fit on the bike. I can't speak much on the quality of the bike itself, since I'm no bike expert, but it seems of a reasonable quality to me and I'm looking forward to many years of riding enjoyment!